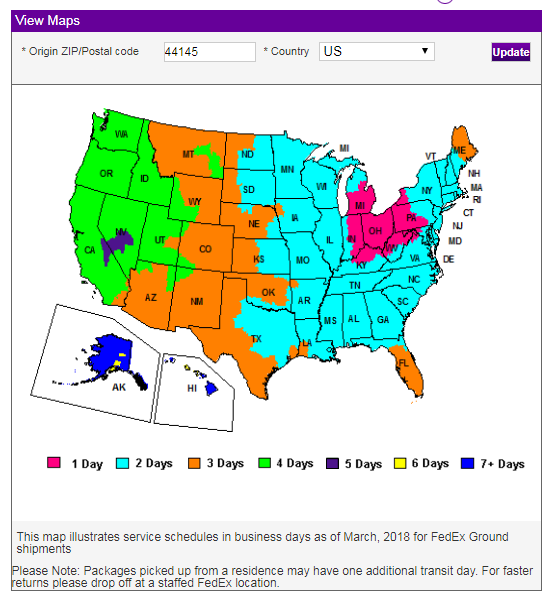 Shipping and Returns | Unistrut Service Co. Most orders (excluding special order items and orders with large cut jobs) ship within 1-2 business days of receipt. Our customer service team will notify you if we anticipate any delays in shipping your order. Delivery times are based on the distance from our facility and the delivery window determined by the carrier. We accept returns on stock items—they are subject to a 15% re-stocking fee, the customer is responsible for return shipping/freight charges. Offer applies to online orders only--phone in purchases are excluded. Fittings and channel nuts in the order will ship for free if there are over $35 of qualified Unistrut products purchased. Other items (e.g., channel) in the order will still have a shipping fee applied. This only applies for orders in the contiguous United States (Alaska, Hawaii, Canada, and other international orders do not qualify).